Though many live mostly paperless lives, there are still occasions when you need to print something out. Fortunately, wirelessly printing photos and documents straight from your iPhone or iPad is as easy as sending a text message. Apple’s printing technology AirPrint, plus a few handy third-party apps and cloud services, make it quick and simple to achieve. 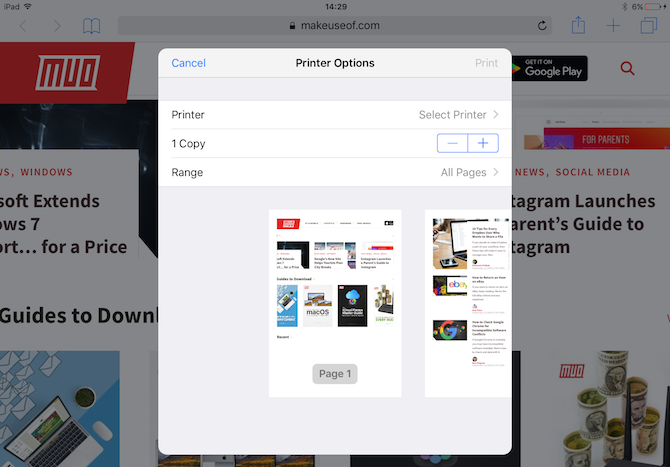 Here’s how to print from your iPhone or iPad to just about any printer. 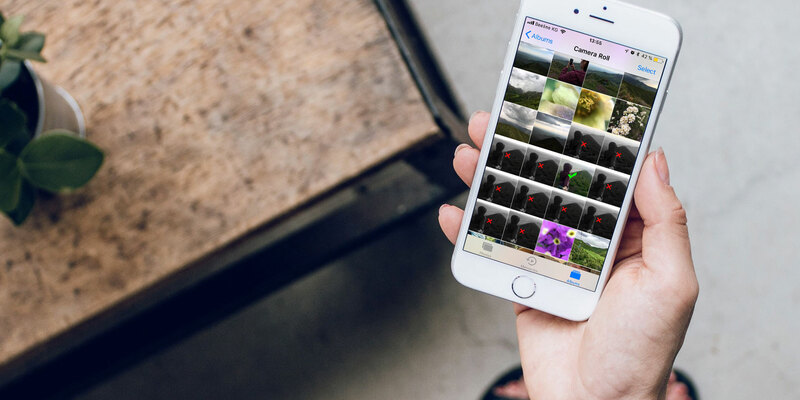 There are lots of ways to connect a printer to an iPhone. The simplest is with Apple’s own AirPrint service. 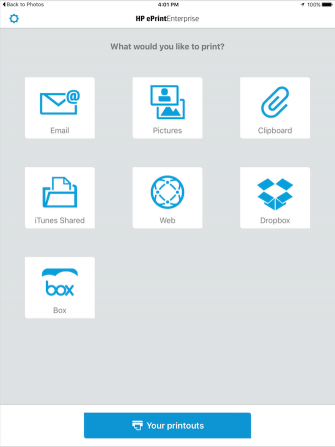 There’s no AirPrint app to download—it’s all built-in and ready to go. Just check Apple’s list of AirPrint compatible printers. If yours is there, all you need to do is make sure it’s connected to the same Wi-Fi network as your iPhone or iPad. You won’t need to add the printer, as it should show up automatically on your device. You can print from many first and third-party apps; just find the Print option located under the Share button. The process is similar for most apps. If you want to print a document, for instance, you’d open the document, hit Share, then find the Print icon—you might need to swipe left on an iPhone—then tap it. This opens the printer options on your iPhone or iPad. Here, you need to choose your printer (assuming you have more than one on your network). You can also set the number of copies you want to make, or which pages you want to print. When you’re happy, tap Print. Some iOS apps don’t include a printing feature, so you will need to export the selected content to another app that does support it. You can do this using the Open In feature, also found under the Share button. 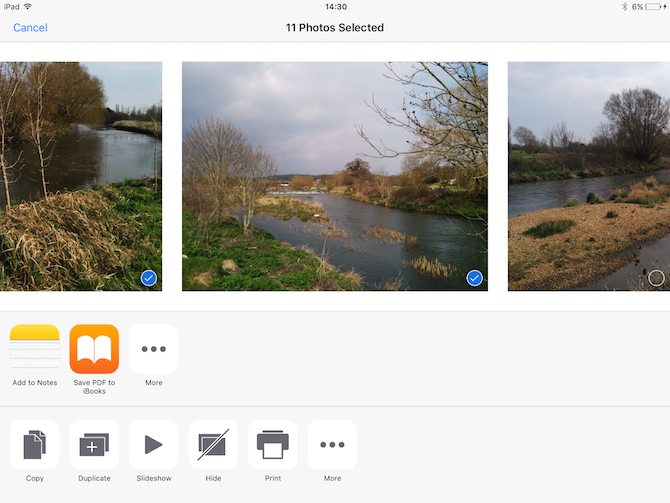 You can print pictures directly from the iOS Photos app. To print a single image, follow the same instructions as above. Finally, tap the Share button in the top-left corner, select the Print icon, and proceed from there. But what if you need to set up a wireless printer for your iPad or iPhone and it doesn’t support AirPrint? The next best option is to see if your printer has its own dedicated app. Most printer manufacturers (including Epson, HP, and Canon) offer apps designed to work with their own hardware on the same network. They might offer more features—especially support for proprietary options—that you won’t get elsewhere, like changing the print size to print full pages. 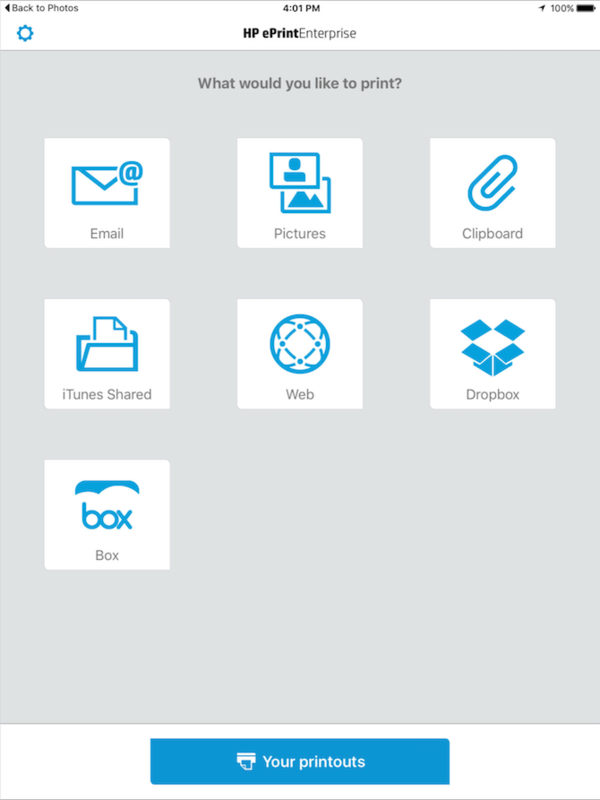 Epson iPrint, for example, can print multiple photos from your photo library, documents from your Dropbox, Evernote, Google Drive, and Microsoft OneDrive accounts, and documents shared to it via the Open In feature. It also has a built-in web browser for downloading and printing web pages. 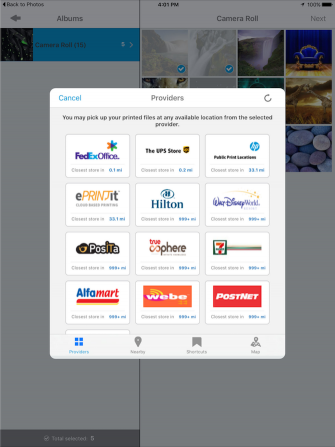 HP’s ePrint Enterprise app works in the same way for networked HP printers in a business setting. 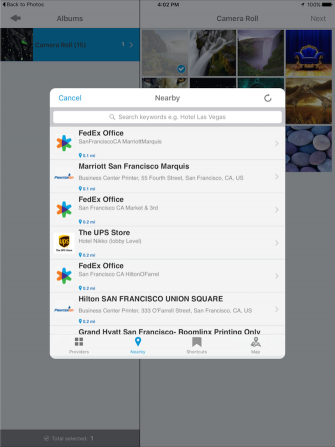 It supports cloud services like Dropbox, plus Facebook Photos. If you’re not near your networked printer, ePrint also allows for sending documents to one of 30,000 public print locations such as a UPS Store or FedEx Office. You can set up and activate printing locations from within the app, and select your documents or photos to be sent to the printer location. 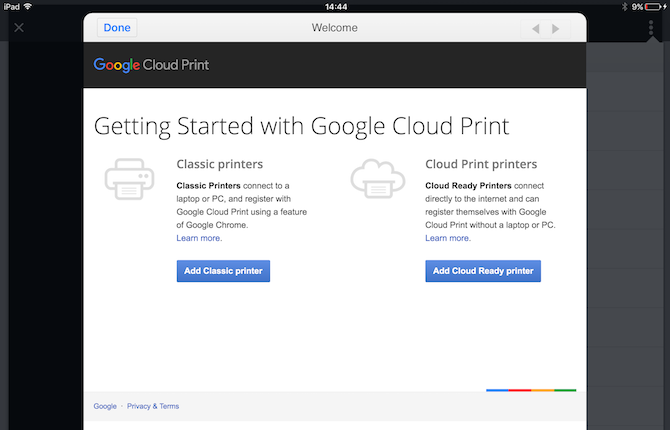 Google Cloud Print is an excellent AirPrint-style service that goes a couple of steps further. Not only can you connect to printers on the same network, but you can also print over the internet. You can even print wirelessly to older, non-wireless printers. Sadly, the service only has limited support on iOS. There’s no Cloud Print app; instead the feature is built into Google’s existing apps. So if you’ve invested in Google’s ecosystem—you use Google Photos, Chrome, Gmail, and others—then you can use it. If you haven’t, you won’t get much use out of this. Many modern printers are cloud-ready, which means there’s no setup process required. Classic non-Google Cloud printers that connect to the internet through a laptop, Mac, or PC can be set up and registered with Google Cloud Print via the Chrome web browser. See Google’s list of Cloud Print devices for instructions and specifications. You need to sign in to your chosen Google app to use Cloud Print. The print option appears in different places depending on the app. For example, you’ll find it in Chrome under the Share button. In Google Drive you can open a document and select Print Preview > Print from the menu. If the above options aren’t working for you, some third-party apps should be able to help. PrintDirect is free to download and test, but you need to unlock the full functionality through an in-app purchase. It works as a kind of companion to AirPrint in that it detects printers connected to the same Wi-Fi network. However, it should also work with printers that are non AirPrint-compatible. To print with PrintDirect, open a document, web page, or other file, and go to Share > Open In > Copy to PrintDirect. This sends the file to the app, where you can adjust the print settings first. PrintDirect works with most apps, and also supports AirPrint and Google Cloud Print printers. You can also print to PDF. 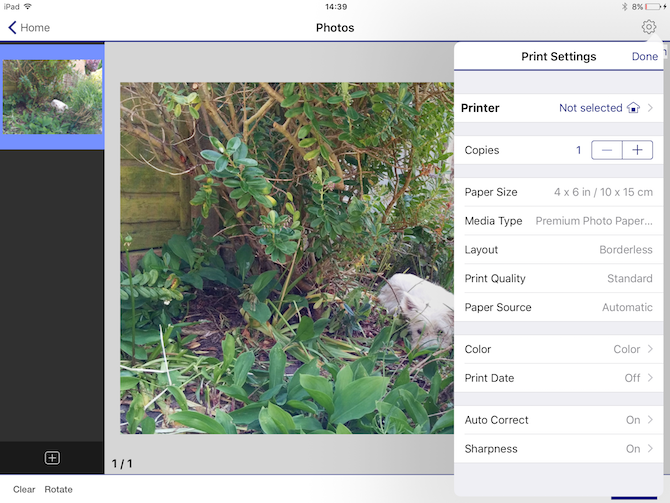 Working along similar lines, Printer Pro is a powerful and full-featured printing app for iPad or iPhone. To test out Printer Pro, download Printer Pro Lite to check that it adequately supports your printer. 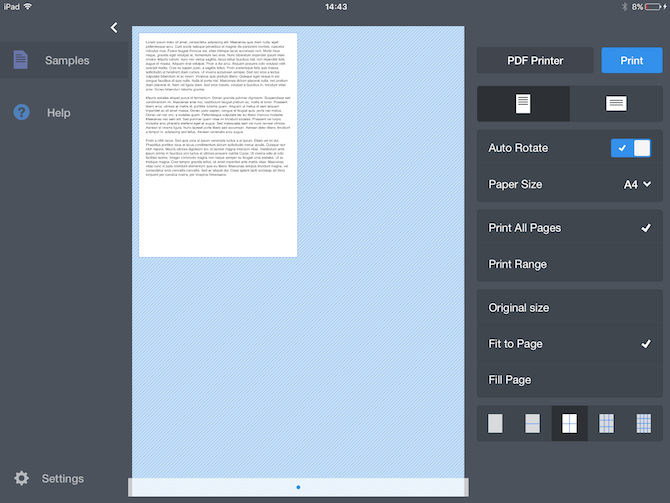 From the lite version, you can print sample documents included in the app. Open the app to set up your printer by following the on-screen instructions. Again, you print files using the Open In option in your file editor or other app. To print from Safari, just change the URL header from http to phttp. This will quickly open the page in Printer Pro, where you can print it. Printing from mobile devices may be less common than it once was, but when you need to do so, it’s easy. With a printer that supports AirPrint, Google Cloud Print, or its own app, you can create a hard copy of your essential documents in just a few minutes. And if this has left you thirsting for an upgrade, check out our guide to the best all-in-one printers to find the new machine that’s right for you.